June 2017 - All Care Hawaii. LLC. Senior Care in Oahu HI: June is National PTSD Awareness Month. As a family caregiver this is the ideal opportunity for you to learn more about PTSD, or Post Traumatic Stress Disorder, and how it impacts your loved one, as well as the care that you can give them to help them cope with it. Caregiver in Hawaii Kai: Your phone can be an incredible tool for you or it can leave you feeling as if it’s constantly interrupting. The difference can be in how you manage your phone and its usage. June is Cataract Awareness Month: What are Cataracts? Elderly Care in Maui HI: According to the American Academy of Ophthalmology, more than 24 million people in the United States aged 40 and over have been affected by cataracts. An even more startling statistic is that around half of all Americans who are 75 or older develop cataracts. 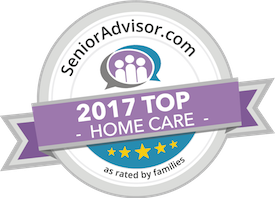 Home Care in Kailua HI: Each of these cases demonstrates the importance of doing personal interviews with aging loved ones.